This is the small motherboard box of the new ASRock B450M Steel Legend AMD Ryzen motherboard. 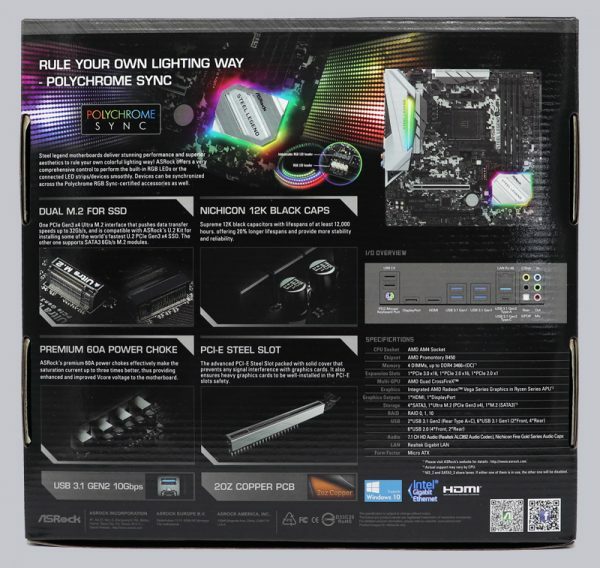 The back of the package already shows some features like ASRock Polychrome Sync, Dual M.2, Nichicon 12K Black Caps Capacitors, Premium 60A Power Choke Coils, PCI-E Steel Slot and USB 3.1 Gen2 10Gbps Ports. After opening the box, the accessories appear first. 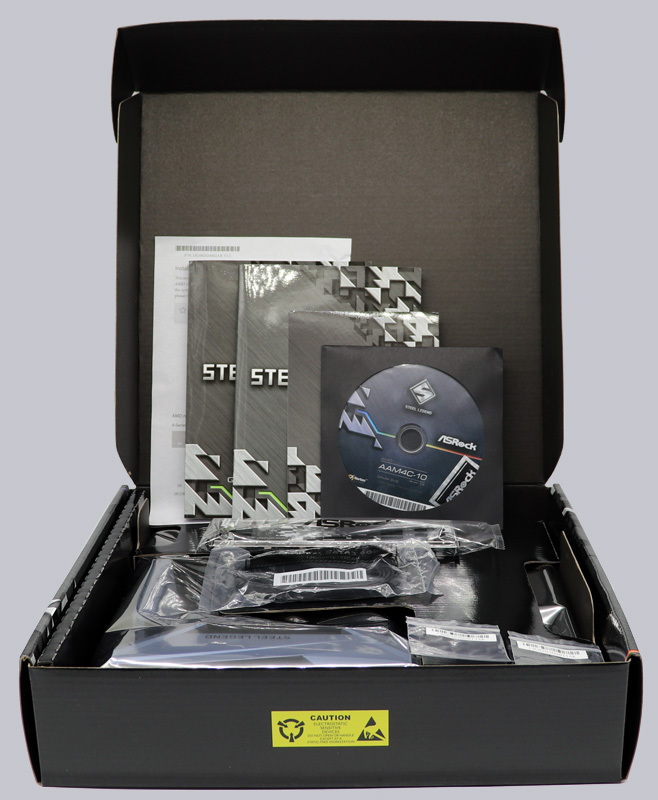 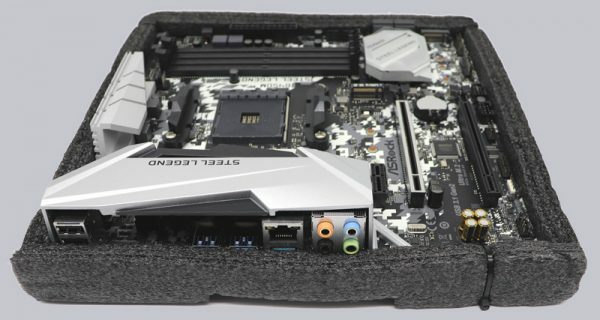 The ASRock B450M Steel Legend AMD AM4 motherboard included a manual, a Software Setup, a DRAM installation sheet, a DVD, two SATA data cables (angled and straight), two screws for the M.2 sockets and an ATX I/O panel. 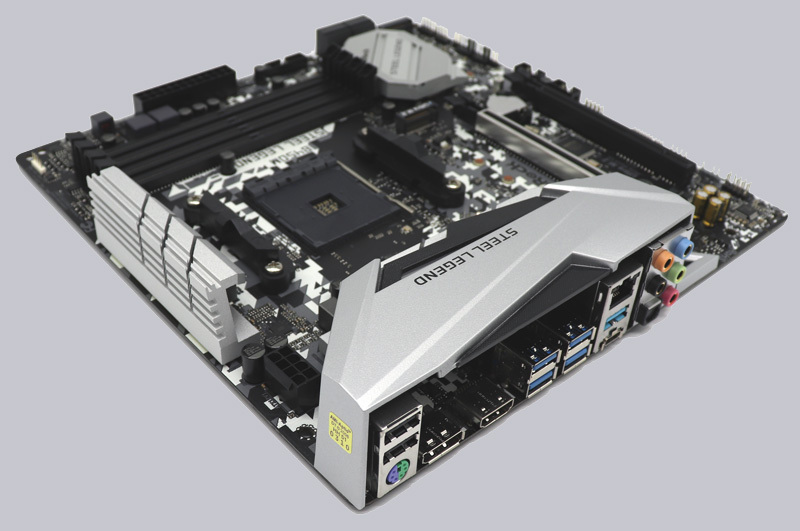 Additional USB slot covers or an ASRock USB 3.1 front panel are optionally available. 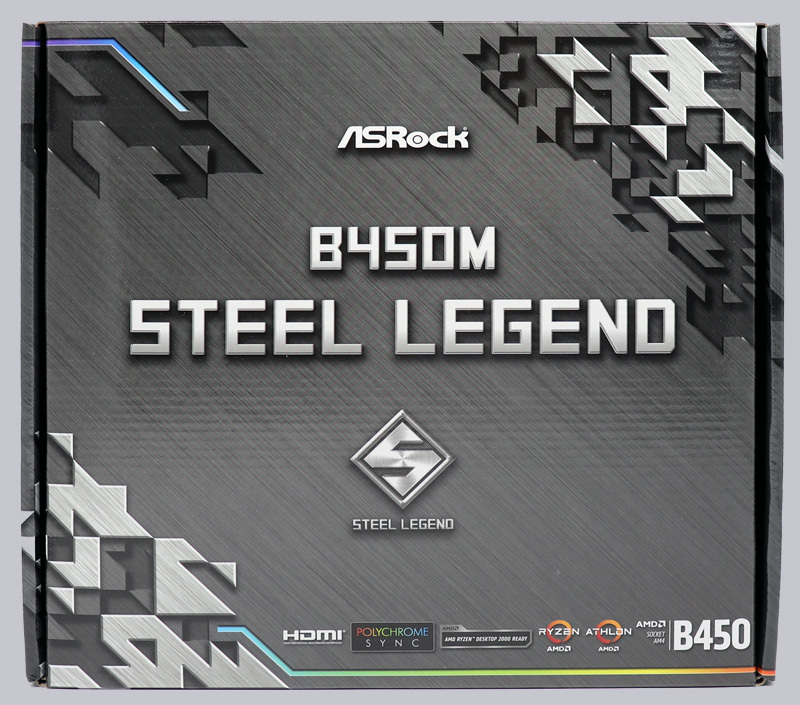 Like most high quality ASRock motherboards, the B450M Steel Legend is embedded in foam for safe transport. 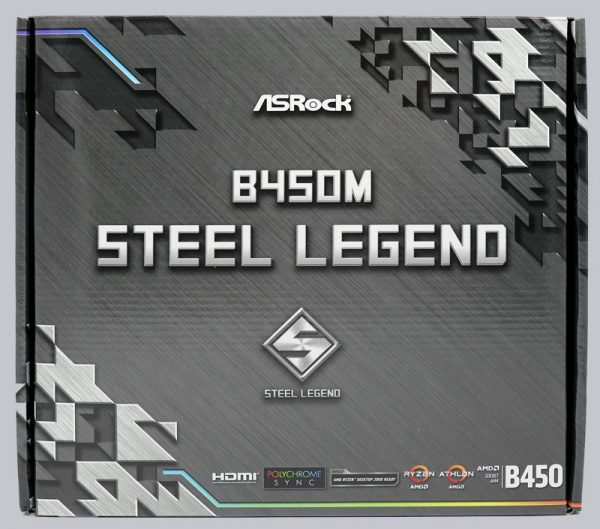 This is the look of the new ASRock B450M Steel Legend motherboard.